What Mindless Tasks Do You Automate on Your Computer or Mobile? Even though technology makes things much easier for us, that doesn’t stop us from wanting things even easier. What mindless tasks do you automate on your computer or mobile? What if you could press a single button and have it do anything you wanted? Now you can with the Bttn. Come read more about it and win one of your own! IFTTT has a bunch of other cool and super useful social media recipes. Check out these 5 cool IFTTT recipes to automate your social life. Ever since Facebook purchased Instagram, Twitter stop embedding Instagram photos in your tweet stream. Here is how you can bypass the limitation. Did you notice that you are doing the same things everyday? Once you are done with the emails and news, you still have to check out Instagram or the documents received in Dropbox. Wouldn’t it be good to have the Internet work for us rather than the other way round? 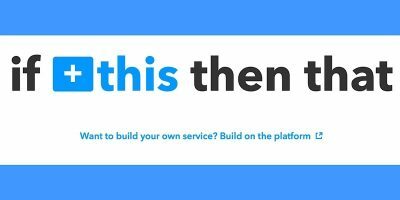 IFTTT is the one for you.